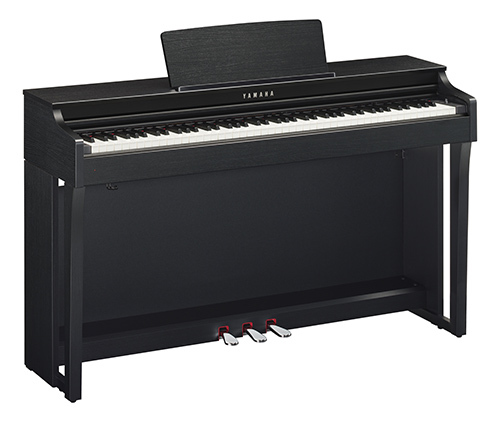 The CLP-625 is an ideal first piano for beginners or experienced players. This entry-level Clavinova features Yamaha CFX and Bsendorfer Imperial samples and Graded Hammer 3X (GH3X) keyboard action with escapement feel. New to CLP-625 is a Binaural CFX sample that makes playing with headphones a truly immersive experience. Now with Key-Off samples as well as Damper and String Resonance samples, the entry-level CLP has never sounded better. Connect to your iOS device or your computer using the USB port to experience a wealth of entertainment and educational apps. This is where the videos of the product would go! Question 1: This is a question in the list. Click to drop down. Question 2: This is a question in the list. Click to drop down. Question 3: This is a question in the list. Click to drop down.